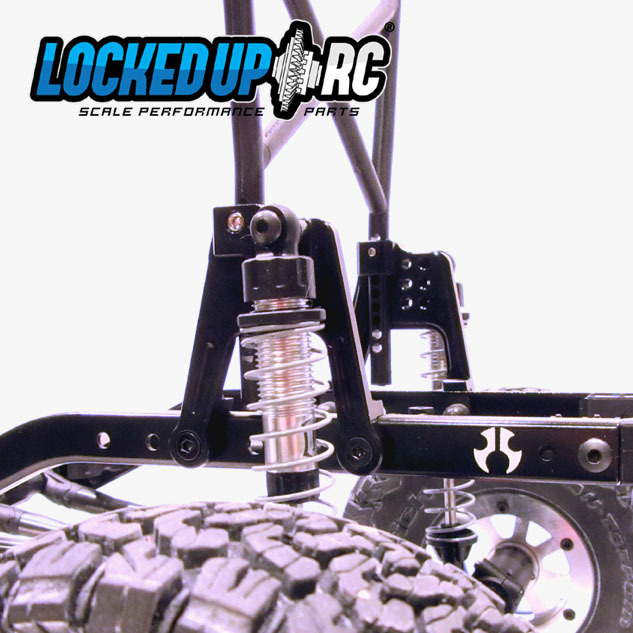 These heavy duty front & rear shock towers are a perfect replacement for your Axial SCX10 II plastic parts. 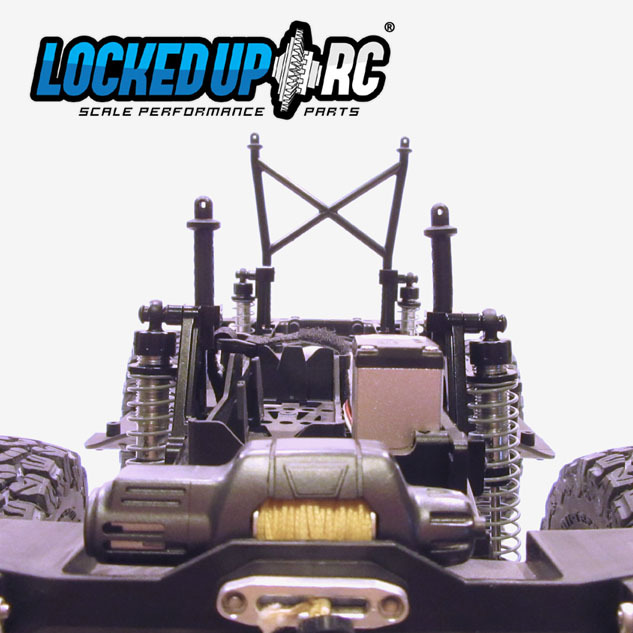 These are a direct replacement fit for your Axial SCX10 II. 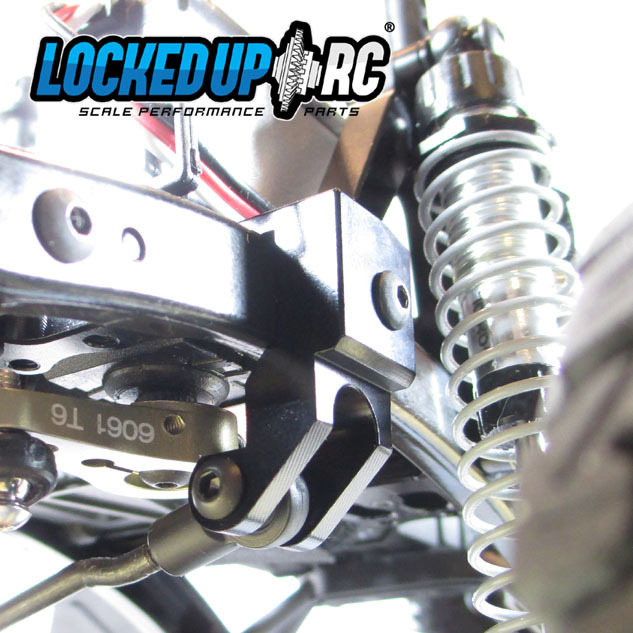 This version includes the Devil RC Trackbar Drop Mount. 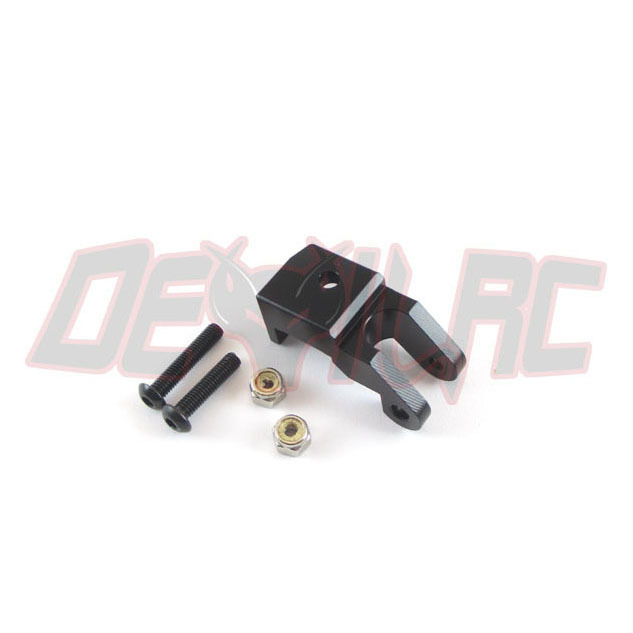 These will also work perfectly with our Pro CMS for SCX10 II kit using the Pro CMS Drop Mount for SCX10 II. 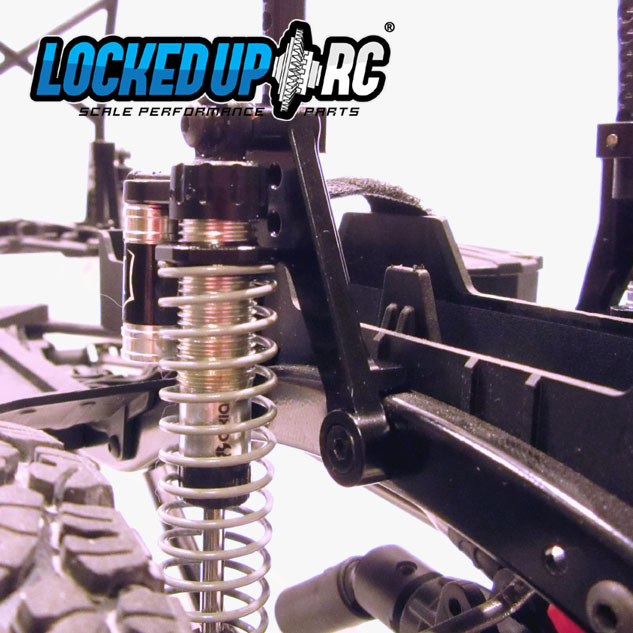 To run with the Pro CMS drop mount you MUST run the Pro CMS kit. 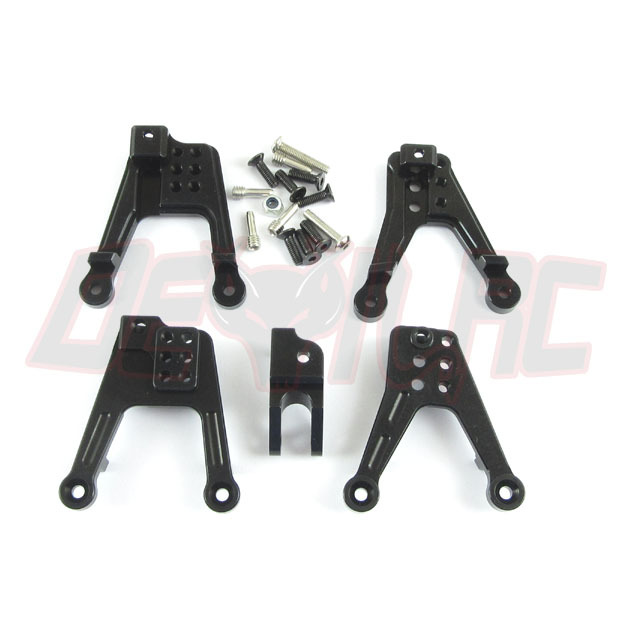 These also fit an SCX10 chassis but the post holes are wider than the stock SCX10 holes. Shown mounted with some of our 4mm M3 spacers which we now include.